Kenneth C. Wisnefski, Entrepreneur and small business owner, discusses recent economic data released by the National Federation of Independent Business (NFIB) stating its Small Business Optimism Index fell to 88.1 in August. 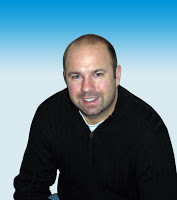 Wisnefski is the founder and CEO of WebiMax, the #1 rated search engine optimization firm in the United States. “I’m not sold that small business owners are taking the necessary steps to innovate their business to curb obstacles the U.S. and global economy is throwing at us”, announces Wisnefski. The NFIB stated the decline was mostly due to weak expectations for sales growth and reduced optimism for improvement in business conditions in the short-term (6 months). This report comes just days after President Obama’s American Jobs Act address to a joint session of congress, more or less stating that small businesses play the most pivotal role in hiring and helping the economy get back on track. “The continued decline in the Index counteracts The President’s push for small business owners to start hiring again”, states Wisnefski. “This Index could actually be climbing if small business focused more on adapting to change and innovating their operations to run more efficiently”. Wisnefski further suggests that such innovations can include “incorporating social media marketing and weeding out traditional mass-advertising methods, creating dynamic websites with ecommerce capabilities (having your business open 24/7/365), advertising on Google Search versus I-95, and creating ‘virtual workplaces’ which eliminates operational expenses including the cost of running the building with a full-house”. The declining Index reasons small business owner’s resistance to hiring new workers, thus severely hindering the rebound of a struggling economy.